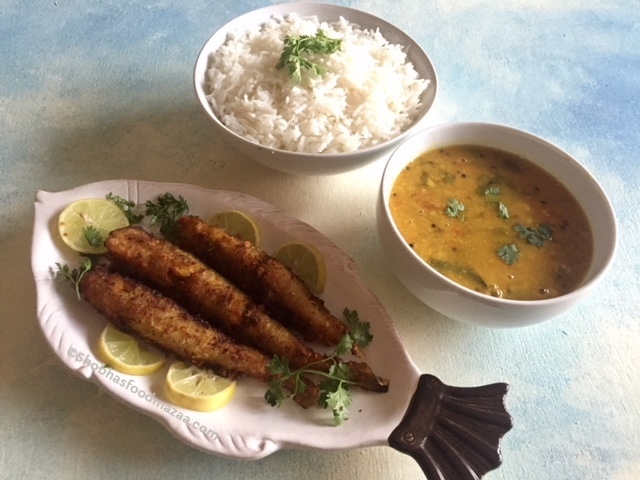 Bombay Duck or Bombil is a variety of fish which is good for frying. 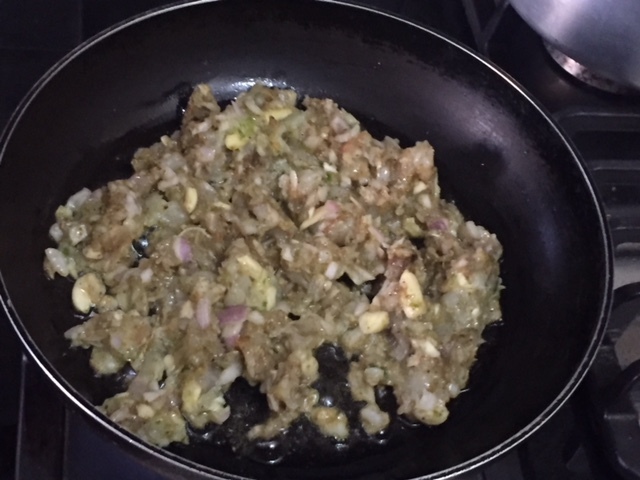 You may fry it with or without any stuffing. It is very popular in Maharashtra. The crispy fried one pairs well with dal chawal. 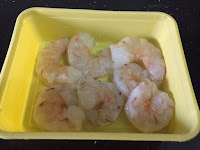 I have tried out with stuffed prawn mixture. The taste was divine. Clean the bombil and remove the center bone. Flatten it by slitting in the middle. Marinate with salt, turmeric and lemon juice. Set aside. 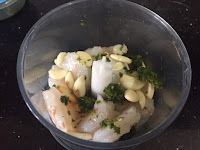 In a chopper, grind the prawns, onion, garlic and green chillies coarsely. Take a pan and heat 1 tbsp of oil. Tip in the prawn mixture. 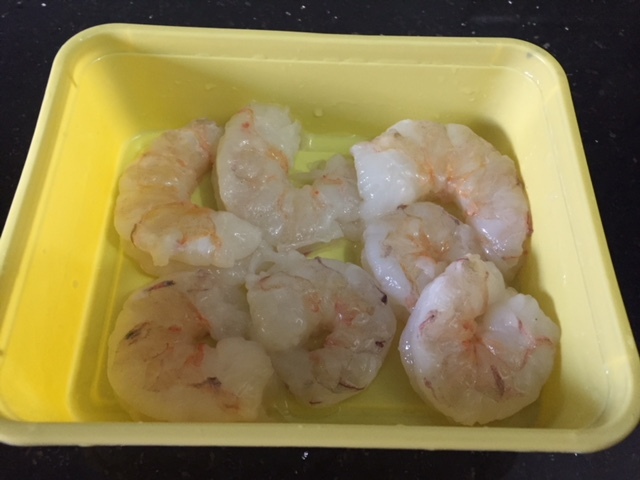 Saute until the prawns change the colour. Season with salt and the spice powders mentioned in the list. Add coriander leaves. Wipe the marinated bombil with a kitchen tissue to remove the moisture. Spoon some filling on the fish and press it firmly. Fold the fish into shape and dust some rice flour on it. Now to ensure to keep the filling intact, tie the fish with thread. Heat oil and fry the fish carefully turning it a couple of times until done. Using a sharp scissor cut the thread and remove carefully. Serve as a snack or as a side dish with dal chawal. wow. I would like to have this fry with sauce. Its yummy to see. 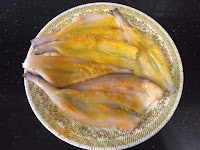 Thank you for sharing fish fry recipe. I am bryan and I am working in my blog. Cooking is one among my hobbies. Thanks for dropping by Bryan. I shall surely visit your blog. 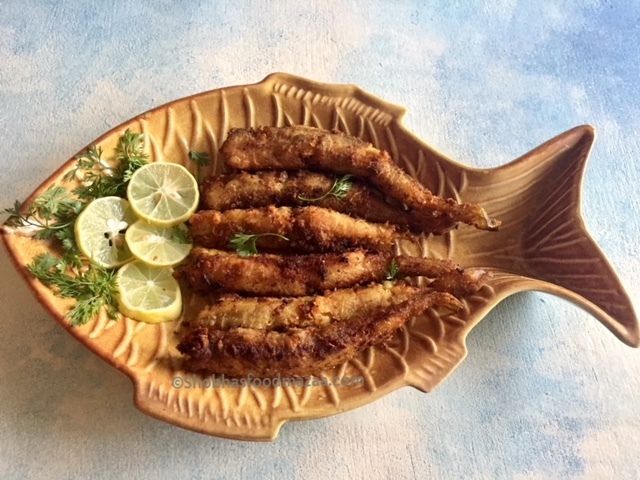 My hubby loves Bombay duck...alwyas wondered why its called Bombay duck when its a fish! True Mayuri.. we should Google and see why they call it Bombay Duck. 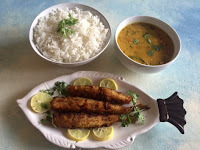 Love crispy and fried food, I am sure fish lovers would be delighted to see this recipe. 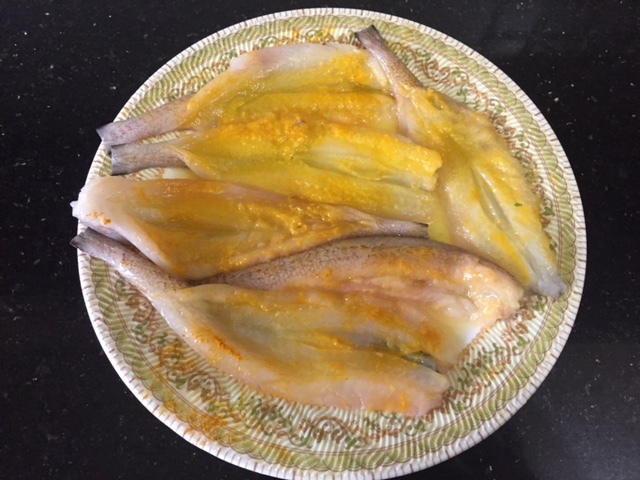 Bombay duck fry looks great. In Bengali its called loita machh. Delicious share. Bombay duck and prawns awesome combo. Thanks Sujata.. I had it in a restaurant and tried making at home. Do give it a try .. I am sure the fish lovers must be drooling at the prospect of savouring this dish! Yes Aruna.. it is a delight for sea food lovers. Wow...my mouth is watering..I love seafood...Looks so yummy!! Thanks for the compliments Vanitha. Fish look beautifully crisp. Great presentatìon too! This looks lovely and crispy. What I loved more is the serving plate, very pretty and apt for the fish dish. Iam coming over to your place!!! Looks awesome. Yes Sapana.. any variation is good for a change . Delightful treat to all fish lovers!! Fabulous share.